Functional medicine emphasises a definable and teachable process of integrating multiple knowledge bases within a pragmatic intellectual matrix that focuses on functionality at many levels, rather than a single treatment for a single diagnosis. Functional medicine uses the patient’s story as a key tool for integrating diagnosis, signs and symptoms, and evidence of clinical imbalances into a comprehensive approach to improve both the patient’s environmental inputs and his or her physiologicalfunction. The Institute for Functional Medicine teaches health care professionals how to apply these principles in practice through an intensive 5 day training course called Applying Functional Medicine in Clinical Practice™. 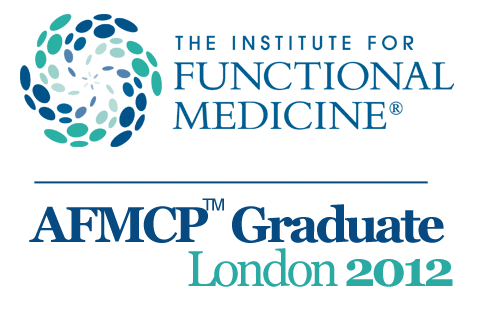 I attended and completed the AFMCP™-UK training in London in 2012. © 2019 Chelsea Nutrition. All Rights Reserved.